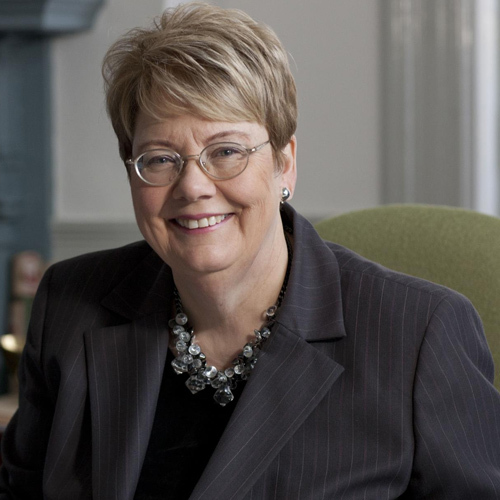 Teresa A. Sullivan, a leading scholar in labor force demography and former provost and executive vice president for academic affairs at the University of Michigan, took office as the University of Virginia's eighth president on August 1, 2010. Dr. Sullivan is the George M. Kaufman Presidential Professor of Sociology at the University of Virginia. T.A. Sullivan, E. Warren, J.L. Westbrook. 1989. As We Forgive Our Debtors: Bankruptcy and Consumer Credit in America. New York: Oxford University Press, 1989 (hard), 1991 (paper), xii + 357 pp. Reprint edition, Washington, D.C.: Beard Books, 1999. Sunny Xinchun Niu,, Teresa Sullivan, Marta Tienda. 2008 “Minority Talent Loss and the Texas Top 10% Law,” Social Science Quarterly, 89,4 (December 2008): 831-45. Deborah Thorne, Elizabeth Warren, Teresa A. Sullivan. 2009. “The Increasing Vulnerability of Older Americans: Evidence from the Bankruptcy Court,” Harvard Law & Policy Review 3,1 (January 2009): 87-101. Marta Tienda and Teresa A. Sullivan. 2010. "The Promise and Peril of the Texas Uniform Admission Law." Pp. 155-174 in David L. Featherman , Martin Hall, and Marvin Krislov (eds. ), The Next Twenty-Five Years: Affirmative Action and Higher Education in the United States and South Africa. Ann Arbor: University of Michigan Press. Teresa A. Sullivan. 2010. “College Access, Geography, and Diversity,” in Daniel Little and Satya P. Mohanty, ed. The Future of Diversity. New York and London: Palgrave. R. Hodson and T.A. Sullivan. 2011. The Social Organization of Work. Belmont, CA: Cengage-Wadsworth, 5th edition. T. A. Sullivan. Forthcoming. “Debt and the Simulation of Social Class.” Chapter 2 in Ralph Brubaker and Robert M. Lawless, eds. A Debtor World: Interdisciplinary Perspectives on an Indebted Global Society. New York: Oxford University Press.